One of the really nice things about my local mall is that it doesn’t have a Gamestop – instead we have a locally owned gaming store – Game Exchange. While they do offer some of the newest games out there, the biggest selling point is that it’s the only place around to find older games – all the way back to even the Atari 2600. Now, I could go online to Amazon or eBay to find them too – but I’ve found that the prices are pretty insane. I was able to buy a first party SNES, with AV and A/C cables and a controller, for the price of a new Xbox game. Plus I have the convenience of not having to wait and order it online. Of course, it’s kind of strange to be pumped to get a console that came out in 1991, but I think it’s pretty damn awesome. 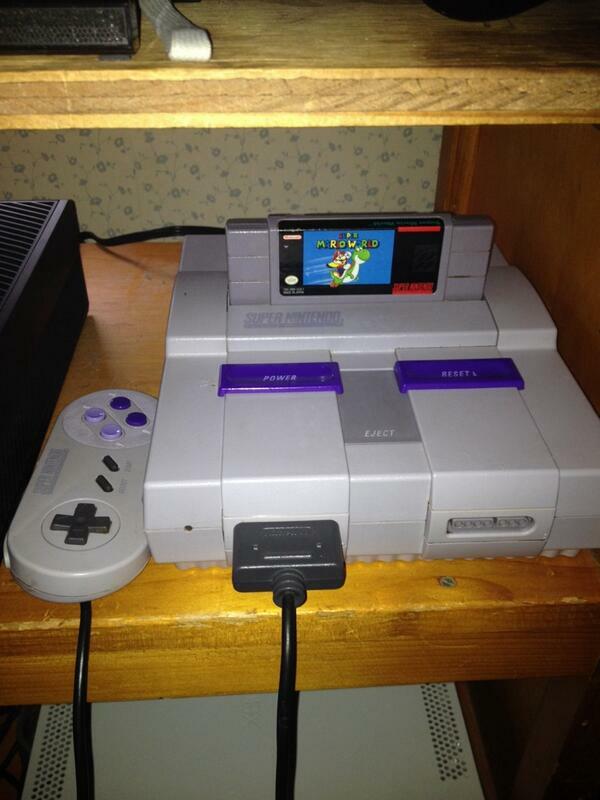 First of all, I never had a SNES back while I was growing up – I instead had (and still have) a Sega Genesis. Secondly, I really do think that classic gaming still has a really important place in modern gaming. I think it’s important to have a good grasp of where gaming came from in order to get to the place it’s at today. The best way to do that is to play through all the old games. Plus, for those of us that grew up playing those games, they still have a really special place for us. For me, I’m really excited to play the SNES games I may have played since, like Mega Man X, on the original system and cartridge. Ultimately, I think that as gaming continues to grow into a proper place in pop culture, these older games and systems will become more and more scarce, but more and more important. I really do want to be able to one day sit down my children and show them the games I grew up playing, on the actual consoles I played them on. Classic gaming still has a very strong place in the gaming world, and I think it’s an understated part of gaming in general. Get out there and find some awesome old games to play. This entry was posted in Uncategorized and tagged Classic Gaming, Sega Genesis, Super Mario World, Super Nintendo, Video Games by Dan Fasulo. Bookmark the permalink.